SMIDGE OF THIS: Au Naturel ... What Would This Mean For You? This morning, I heard a noise that nobody wants to hear. And smelled something that nobody wants to smell. All signs pointed to the worst -- my hairdryer is approaching death. It's emitting a screaming-type noise and the smell, oh the smell! Have you ever singed off your knuckle hair on a candle flame? Yes, that is the current smell it's putting off. So it started me thinking -- let's say that it bites the dust tomorrow morning, before I have time to get a replacement hairdryer. And I'm getting ready for work. And I just have to "make do." What would this look like for me? My naturally curly hair would be unleashed. If you're thinking now, "I've seen your hair curly! It's pretty!" Well, you are FAR too kind, because that is thanks to the use of a hairdryer to get volume at the top and a hair curler to touch up those uncooperative pieces of hair. So my hair would be sort of wavy from the ears down, completely flat at top, and flyaways all over. I don't think I'm being too hard on myself -- I am not at all afraid of going out in public "without my face on." In fact, I love giving my face and hair a break on weekends. But this is my reality, and if you can't laugh at your own sparse caterpillar eyebrows, then it's time to let loose! Tomorrow morning will be the true test of the hairdryer. Will it magically fix itself tonight, or will it explode into a million pieces around 7:30am tomorrow? I'm getting a little bit of a sweat-stache just thinking about it. So, I'm curious. What would au naturel look like for you? I wrote a post about this last week because I had an allergic reaction and my doctor said no make up for a week! I can go to the gym or run an errand without makeup on, but I had NEVER gone anywhere I'd actually see people, i.e. school, work, etc. It was scary but sort of liberating. No one ran away screaming. People probably barely noticed, although I could definitely notice. other not so glamorous "natural" for me would be blonde/barely noticeable eyelashes, blonde eyebrows so it looks like i have none, uneven skin tones (thanks pregnancy leftovers), and locks that look like one HOT mess! It's weird but I am fine with being au naturel at the beach and even think I look fine but could not imagine going w/o makeup or "hair done" to work. I think it's fluorescent lights that make us look and feel worse than we are in reality. My biggest au natural issue is dark circles under my eyes. I have to wear a ton of concealer so that I don't look like the walking dead. Apparently dark circles are genetic and while getting lots of sleep, eye products and makeup help, there is no getting rid of them. My hair is just dull, flat and lifeless w/o my dryer and round brush. I think I just look plain and tired when I am not "done." I am au natural most of the time! I don't put makeup on daily. If I do, it's mascara and lipstick. I normally only wear more if I'm going somewhere that's not work! I don't blowdry my hair either, it airdries! Yet I love makeup products...that I use once or twice a week at most. I go all natural on the weekends a lot. That camping trip on the 4th was the same way. I look terrible and it makes me cringe but over the years I've come to be okay with it. Even post pictures of myself on the blog that way. I wear make-up all day every day unless I'm deathly ill. I've been told I am beautiful without make-up, however I don't feel it! I wear less on some days, but always have at LEAST mascara on. I have long lashes, but they are sooo light. I feel like a ghost without it. As for my hair. If I wear it curly I just let it dry naturally, but I have to put in products. I had a friend who was always so proud that she didn't wear make-up. I always wanted to say "You know what, you do need a little." Ha. Au Natural would look like me heading to the store to buy a hair dryer this evening! :) But I would for sure rock a wet bun (as I typically do) Morning are tough! I always wear make up on the weekdays, but I don't bother on the weekends when I'm just puttering around the house. The husband says he cannot tell, but I think that's because he is low-key like that. I have to have foundation on and I get panicky at the thought of not blow drying my hair, but I've discovered it's not the end of the world. i go au natural more than i would like - sometimes i'm not the best at giving myself enough time in the morning! for me, it's curly hair, under eye circles, patchy eyebrows and light lips. i definitely feel better when i'm "made up" and my hair is done, but i like knowing that's its fine to go without occasionally. in general, my makeup routine is low-key, i play up my eyes, brows & lips, but don't wear foundation, thanks to my clairisonic. my life changed and my morning's became easier (especially in the summer) when i learned how to make my hair work without a hairdryer. products for curly hair can work wonders! Oh my gosh! I NEVER blowdry my hair in the summer. It is far too hot. My hair looks like semi beachy waves. I don't care. I only wear makeup 1-2 days a week to work. I have always thought that if I wear makeup everyday and then someone catches me on a weird off makeup day then I wouldn't truly look like myself. So I don't always wear it. I like to mix it up. I wish I could include a picture! I used to go everywhere with my hair slightly damp because it dries so straight! Ever since I cut it into a pixie, though, I need to run it through with the blowdryer every day or else it starts to look like Justin Bieber circa 2009 with his hair-flip thing going on! MCW's comment above... MEOW! Some friend! I go au naturel with makeup more often than I let my natural curls fly. I've worked very hard to find a solid regiment of skin care (including proper diet/exercise/sleep!) to clear up my problem skin. My face looks fabulous recently and I like to let it be free :) Hair on the other hand? Oh girl... if it's not going to be blown out, I usually just braid it! My hairdryer died once and it fried my hair before giving its last blow. Ek! So be careful! I hope it holds out for you until the weekend! 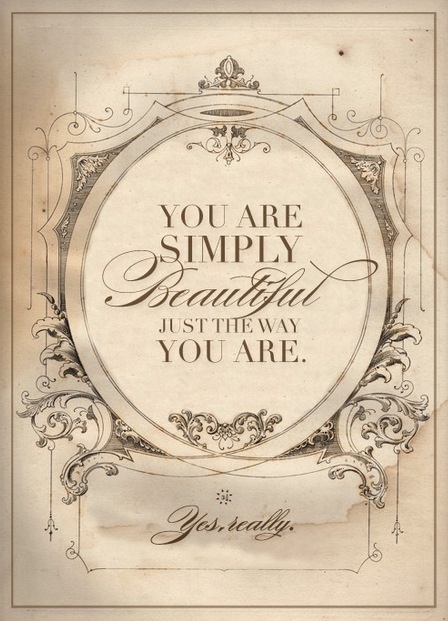 You are a true beauty no matter what. Au Natural sounds terrifying but if I'm being honest, I probably show this naked face out in public more than I'd like to think about! Sorry to those of you in Target who see me bare faced and sans dry shampoo on a regular basis! We must have the same hair when it's in its natural state! Good luck with your blow dryer this weekend. I also have some major undereye circle action going on w/o makeup. Love me some concealer! I enjoy my au natural. I don't wear makeup unless it's special event or going somewhere super dressy. And I've gone natural with hair. I do have days though when my mom acne rears its ugly head and I wish had something to cake it on to make it completely invisible. Stumbled across your blog on The Charlotte Social.